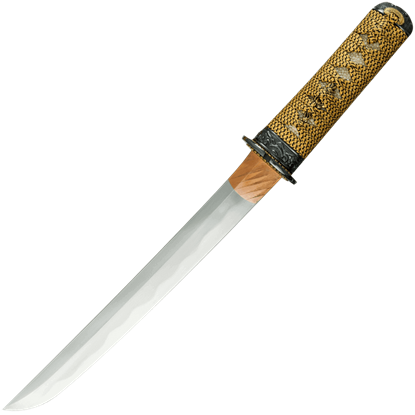 Citadel produces a range of quality knives and samurai swords with incredible devotion to detail. 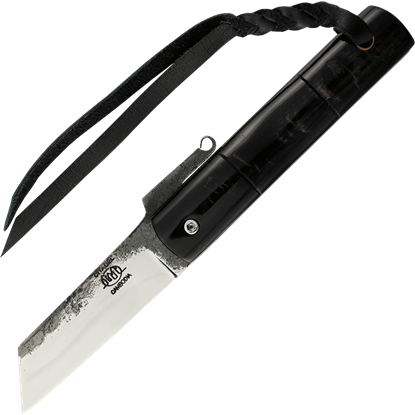 The Citadel blades are crafted from fine metals like DNH7 steel, N690Co steel, 1075 high carbon steel, and AISI 420 high carbon steel. Handles range between materials such as Rosewood, Palisander wood, horn, bone, rayskin, and micarta to offer a variety of looks and feels that ensure the greatest functionality, appearance, and comfort for the particular Citadel knife or sword. Differential hardening turns many of these Citadel swords and knives into exceptional blades that will provide years of use. 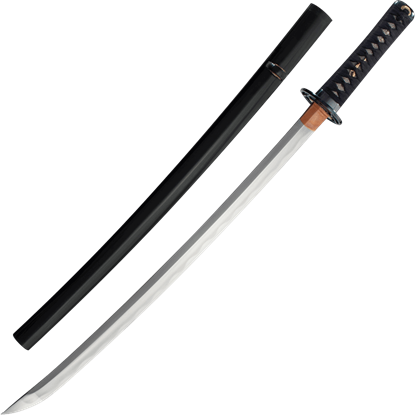 Browse through this category to find the ideal katana, wakizashi, hunting knife, utility knife, or other blade to suit your needs! Hand-crafted from exceptionally high quality materials, the Bamboo Citadel Katana is as beautiful as it is functional, and it features a spectacularly unique, limited edition design, of which only 100 models will ever be produced. 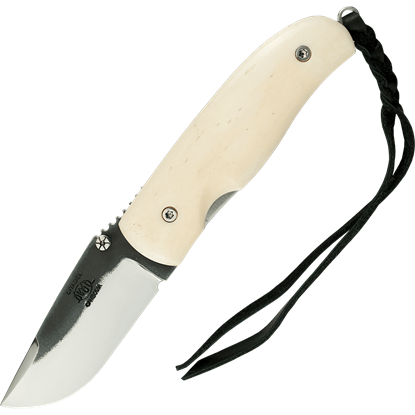 A great pocket knife for whittling, the Bone Scale Chantha Folding Knife fits perfectly into your pocket and then perfectly into your hand when in use. 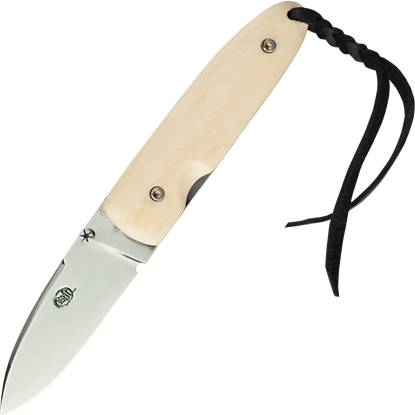 This pocket knife is a beautiful piece that you will absolutely love showing off! Boasted by its manufacturer as being the perfect sized pocket knife, the Bone Scale Monterey Folding Knife is a convenient and eye catching pocket knife with a drop point blade that is perfect for slicing in your day to day tasks. A unique and convenient take on the traditional Higonokami knife, this Buffalo Horn Higonokami Folding Knife boasts classic features such as the tanto point, but replaces the traditional brass with buffalo horn for lightweight comfort. 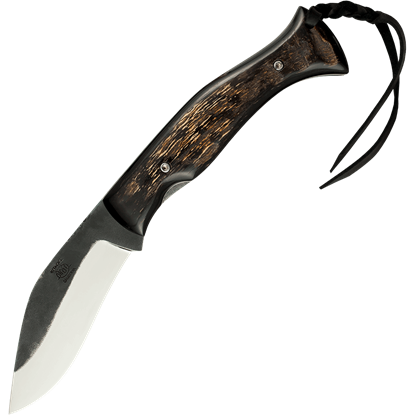 The traditional Kukri knife is a large, fixed blade that is ideal for camping and combat. The Horn Scale Kukri Folding Knife combines the utility of a classic Kukri with the convenience of a pocket knife for a unique outdoor folder. Forged for the Emperor himself, the Imperial Citadel Katana is a masterful work of art that only the noblest of samurai may carry, adorned in the golden courage of a warriors heart with the symbol of the royal family of Japan. 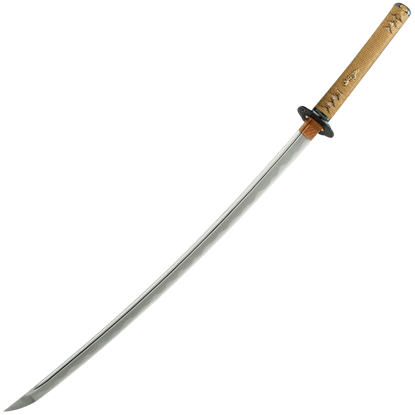 The tsuba of the Limited Edition Bamboo Wakizashi is hand-cut and engraved from pure iron. The nanako, or stippled pattern, on the tsuba is accomplished by hand, quite a feat of patience with a stunning result. The Limited Edition Lotus Wakizashi fittings are hand-cut and shaped from pure iron, a tough material that takes a deep black patina. The Lotus design of the tsuba is in an older, simpler style that reflects the nature of the sword. This Limited Edition Ocean Wakizashi features an ocean theme with a nami, or wave, tsuba and turbulent water fuchi and kashira as decoration. The blade is hand forged and differentially hardened 1075 high carbon steel. Masterfully crafted in a traditional styling, the Lotus Citadel Katana is a completely hand-made weapon which is designed to excel in cutting. 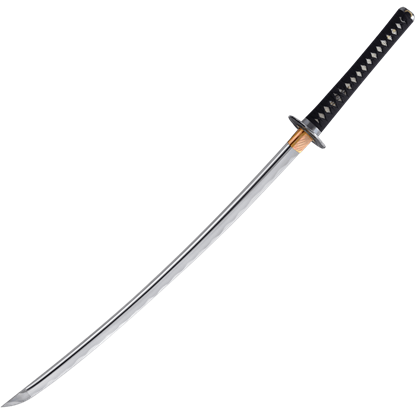 This is a limited edition sword, of which only 100 will ever be produced. 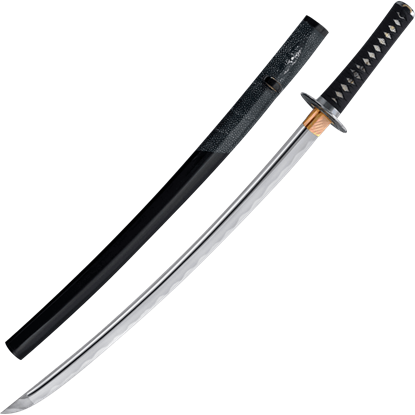 A masterpiece of modern Japanese weaponry, the Ocean Citadel Katana is a limited edition, functional katana which is crafted from the finest materials with painstaking precision to ensure a supremely balanced and beautiful design.